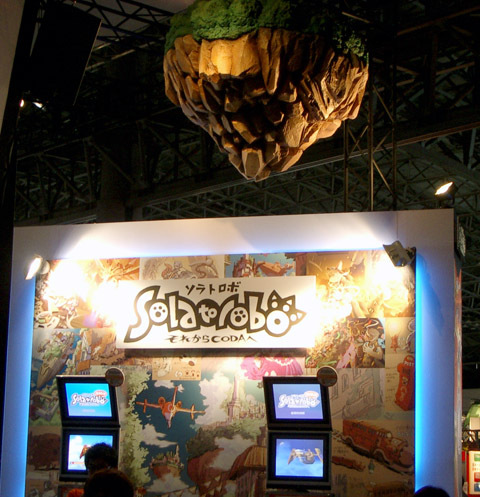 We managed to put some time into the playable demo of Solatorobo at this year’s TGS. The game is 90% complete and it’s quite polished as a result. We’ve also had a somewhat unofficial confirmation that the game may be receiving an English localisation, which is great news indeed. In any case, the demo had two playable levels and was accompanied by a wonderful opening movie with suitably impressive animation. It’s worth highlighting at this point that the setting coupled with Nobuteru Yūki’s striking character designs, gives the whole game a feel of Laputa meets Escaflowne (with furries). 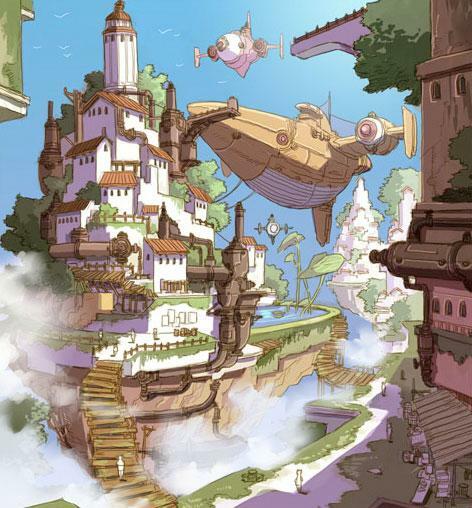 Of all the games we’ve played this year, bar Ni no Kuni, it was pretty much our game of the show. More after the jump. To accompany the latest promo video, 4Gamer has a veritable onslaught of in-game screenshots for the upcoming Super Robot Wars L. From Macross Frontier to Dancouga Nova, the screens show off the new shows that will grace the game. Our favourite is probably Linebarrel, as we have a soft spot for the manga (the Alter toy is also utterly magnificent). 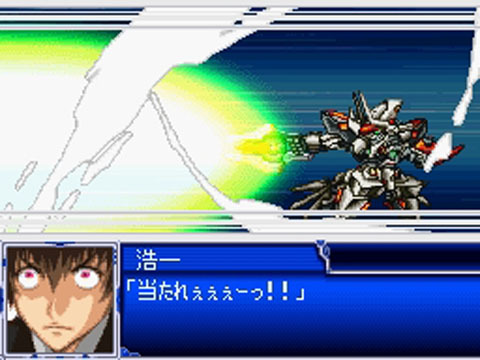 In addition, in some fervent quarters of the net mecha gamers have mistaken the word “some” with “all” in our previous post regarding the re-using of animation assets for the handheld Super Robot Wars games. It’s plainly obvious that Banpresto do re-use assets between the various SRW games, arguably more with the recent handheld outings, but this doesn’t obviously equate to “all” the assets in the games. So as King Gainer’s overfreeze attack would suggest, chill. Update: Play-Asia are now taking preorders for the game. The upcoming Super Robot Wars L has received its first promo video (which was shown at C3xHOBBY over the weekend). Despite the nice new Macross Frontier shots, the remaining animation does look awfully recycled and in some instances almost GameBoy Advance in sprite quality. It will be interesting to see what this entry will be like though as SRWK was really quite short, though with any luck it may utilise some of that version’s game system. The game will retail at 6,090 yen on November 25th. 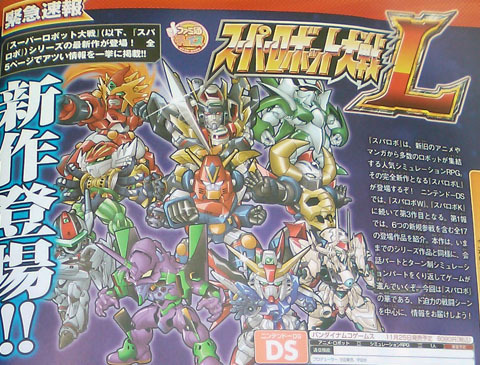 In the latest issue of Famitsu a new hand-held Super Robot Wars title has been announced, now with an “L” suffix. Whilst a new SRW game is always nice news, the fact it’s yet another DS title does grate somewhat. As Banpresto have a habit of regurgitating content between versions, with SRWL being no exception to this as the line-up reuses a large amount of series from W and K (amongst other things). Whilst there are some new series featured, such as Macross Frontier and Linebarrel, it’s still a bit of a rehash. 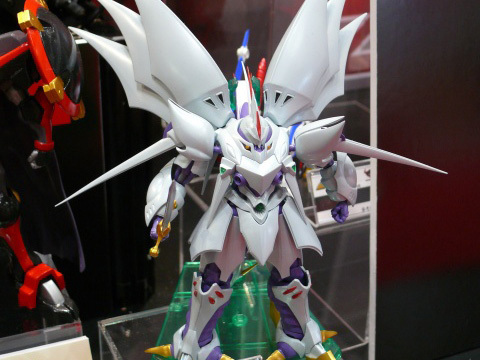 Admittedly we get why Banpresto are doing this, as the DS is massive in Japan and re-using assets is cost effective but come on – where’s the PS3 SRW 2D turn based strategy epic we’ve all be waiting for? In any case, SRWL will be released in Japan on November 25th. Updated: Famitsu has some new screenshots for the game on their site and the official site has gone live too. 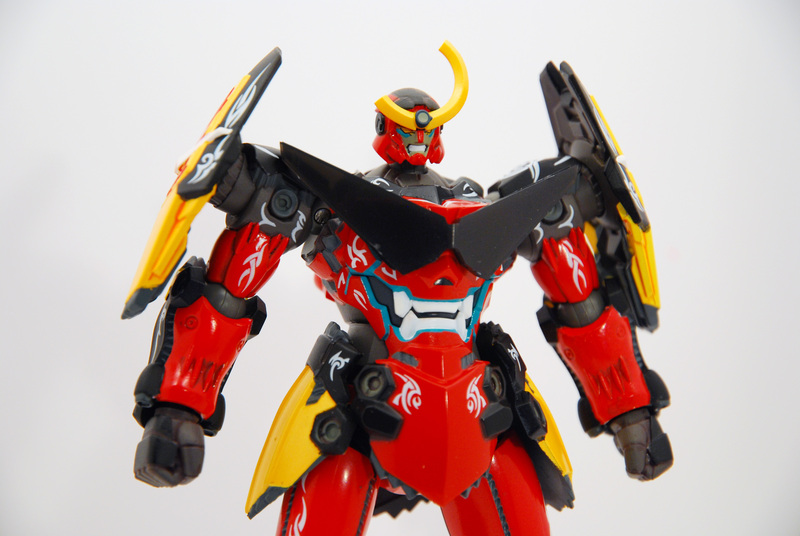 Courtesy of our good friends at HobbyLink Japan, we’ve been sent a toy from Tengen Toppa Gurren Lagann to review. Specifically, the new Composite Ver. Ka Gurren Lagann. In addition, to give the toy some context, we’ve also linked some anime and gameplay footage of it in action from its Nintendo DS game at the end of the review. 4gamer continues the cavalcade of Solatorobo screenshots and art, this time covering more of the game’s main city and more of the main robot, Dahak’s different forms. 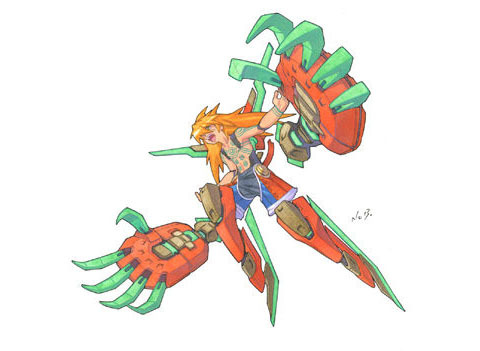 The Type S, for instance, looks suitably hot-blooded in its promotional art (pictured) for the brawler the screenshots show it to be, and I can’t not love the robot form where both arms become shields. The red form with the stretchy, birdlike arms uses them not only for picking up objects and throwing them but also for grabbing missiles and redirecting them back at their launchers mid-flight, which is probably both physically impossible and totally badass. The different forms of the Dahak seem to fit well into Solatorobo’s game design, which has thus far shown a propensity towards experimentation with different game concepts. We know that there are both 2D and 3D platforming stages, some of which are also played on foot at times, but we’ve also seen a fishing for battleships minigame, 3D flight areas, and revealed in this new batch of screenshots, a 3D flight racing game (which seems to have different mechanics from the other 3D flight areas). Fitting into all this talk of different robotic forms and different stages is the reveal that the Dahak seems to also be customizable with a set of chips laid into a gridlike pattern; it looks like there is the possibility for a little bit of fine-tuning the Dahak as well, if a bunch of awesome junkmech forms and a technorgasmic transformation leave you wanting more. Just in case you forgot the game still existed over the course of a week, the well-oiled Solatorobo PR machine continues to chug on, with more screenshots and concept art over at 4Gamer. It seems our canine hero can transform into a shirtless bishonen that is sure to drive the fangirls wild, but more importantly it seems the mecha itself responds to the change, becoming a bit more upright, but strangely also developing glowing green claws. 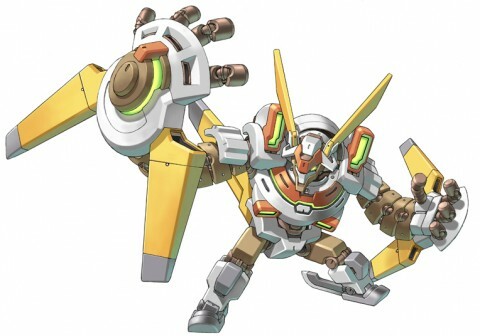 So when he’s a dog, the mecha is a bird, and when he’s a human, it has claws. An unusual approach to mecha henkei, anyway. Andriasang put up a gallery of new pictures for the Game Formerly Known as Solarobo, but Now Known as Solatorobo, including a few pieces of absolutely beautiful mechanical art. 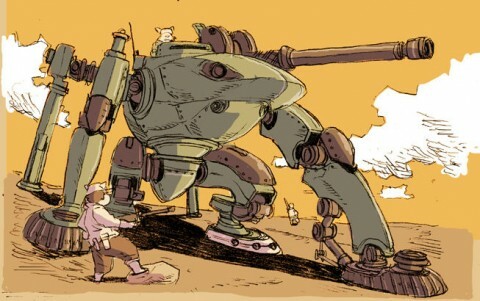 It has that “alternate history/steampunk” look to it that was very common in anime as I was growing up, but eventually seemed to get replaced with cleaner and more modern designs, and I’m glad to see this sort of imaginative work back. Game Watch Impress has an article with much of the same screenshots and mechanical works featured, plus a few extra details if you can read Japanese or are willing to wade through a machine translated version of it. Most of the details in the article are about gameplay elements we’ve seen in action before, but it’s good to know that “dog-man in a bird-robot fishing for battleships” is still a planned feature. Speaking of things we’ve already seen, the small gameplay videos that were released were edited into a much prettier single movie, complete with gorgeous backgrounds and music. The wide variety of game modes, and the sheer charm of the graphics they’ve been able to squeeze out of the lowly Nintendo DS, have gradually changed my outlook on this game from being a mere curiosity to being a “must have!” title, simply because there isn’t and won’t be anything quite like it. The industry as a whole seems afraid to innovate in 3D action games and platformers, preferring to use proven-successful genre formulas or licensed characters to carry these games, but these fellows are doing something amazing with Solatorobo. Here’s to hoping that the game does indeed get released outside of Japan. A fair few places are covering this year’s Tokyo Toy Show, with Dengeki Online’s contribution being pretty thorough. From the upcoming Super Robot Chogokin Cybuster, pictured above and featured in the recent Nintendo DS port of The Lord of Elemental, to the Composite Ver. Ka Temjin, it’s clear that mecha gaming has had quite the impact on the Japanese toy community in recent years. French site Nintendo-Master has apparently seen Tail Concerto‘s spiritual successor, Solarobo, translated into French. There doesn’t seem to be any official announcement, but seeing a game currently unreleased in Japan already in another language means someone at Bandai-Namco is planning a localization. Whether the French translation means a European or a North American release is hard to say at this point. As noted above, the game is a spiritual successor to Tail Concerto, a PS1 platforming game starring a dog-cop in a mecha, who captured criminal cat pirates in bubbles. Cute game about talking animals or crypto-allegory about the political and literal machinery of racism? (probably the former) Anyway, the PS1 original was refreshing in its time for its colorful look and relaxing feel back when most video games were exploring darker themes and, with the upgraded graphics capabilities of the Nintendo DS, Solarobo is not only continuing in that tradition but is extending it. By creating a colorful, almost waterpainted game in a time where video games consist entirely of palettes of browns. The same YouTube user who uploaded a few videos of the game last time we talked about Solarobo has again graciously shared with the Internet a few more vids, illustrating the game in action. As we noted last time, Solarobo’s camera perspective changes depending on what kind of stage the character is currently in, taking a behind-the-back view during the larger 3D stages, and a wide angle shot for smaller rooms that depend more on sidescrolling and platforming. A lot of games try to keep the game’s perspective constant even when the game’s needs could better be served by a different angle, which either makes certain stretches of a game awkward or limits the possibilities of the game’s creators. Solarobo definitely seems to be playing with possibilities; here’s the game’s (apparently VTOL) mecha taking flight between floating islands with some of the best mecha booster-flares ever, here it is in one of the more exciting mine cart scenes that are apparently mandated by international law, and then there’s, uh, this “fishing for a battleship” scene. It’s good to see that when mecha games finally get their own fishing minigames, the fish are scaled up to the capabilities of the mecha. Website DSHyper also has their own impressions, which includes a good summary of what we know of the story and part of an interview with someone from CyberConnect2, the team that is developing the game.